Table to Chair is a site-conditional work which references the quotidian, the average height of a table and chair, and is inspired by the surroundings for which it is created. Our approach was to pay attention to the subtleties of the site, including its history, landscape, systems of order, seasons of the year, users and uses, and scale. Central to Table to Chair is annual maintenance and landscaping. 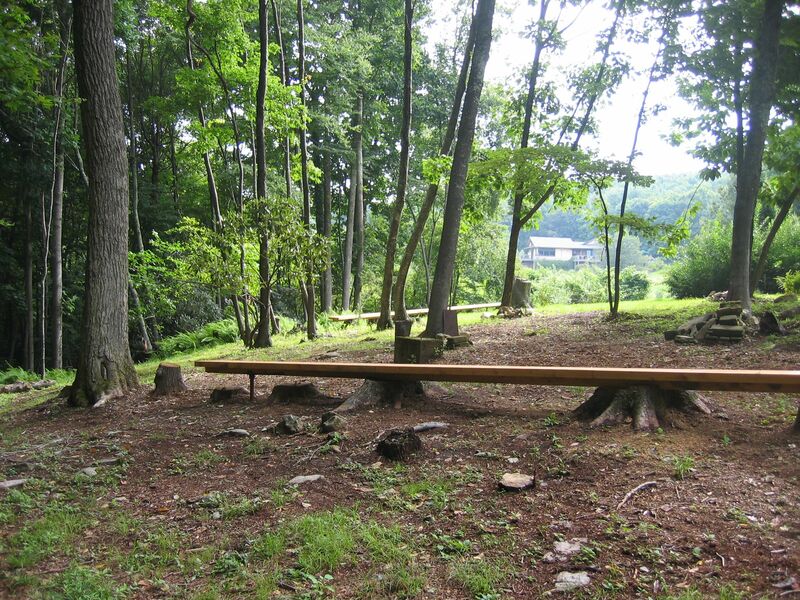 Twelve diseased ninety-year old Hemlock trees that had been planted, two straight rows of six each, in an east-west and north-south cardinal point layout. 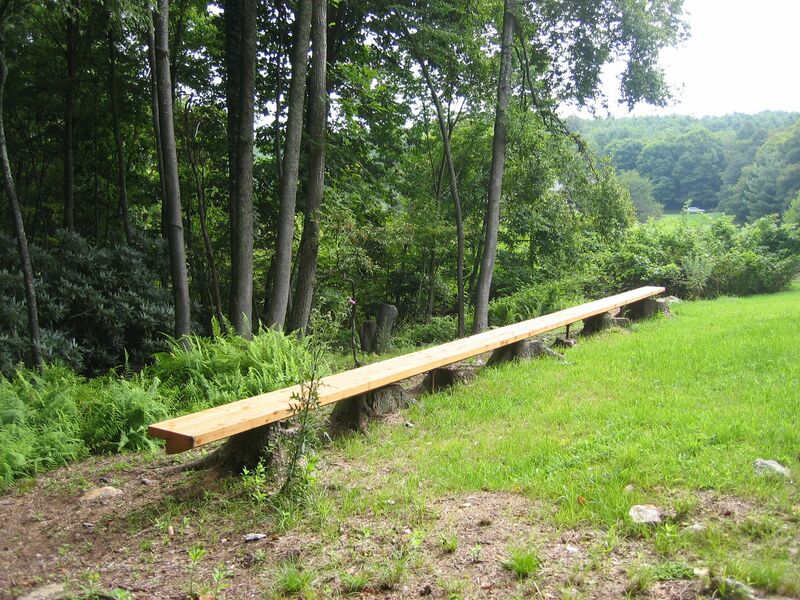 The Hemlocks were felled, milled, and assembled into two 50’ benches supported by their stumps. A central feature on the site is a mature Cedar broke in half by a lighting strike many years ago. The top half of the Cedar bent to the ground and over time multiple new branches grew upwards revealing a “Bonsai” type growth. 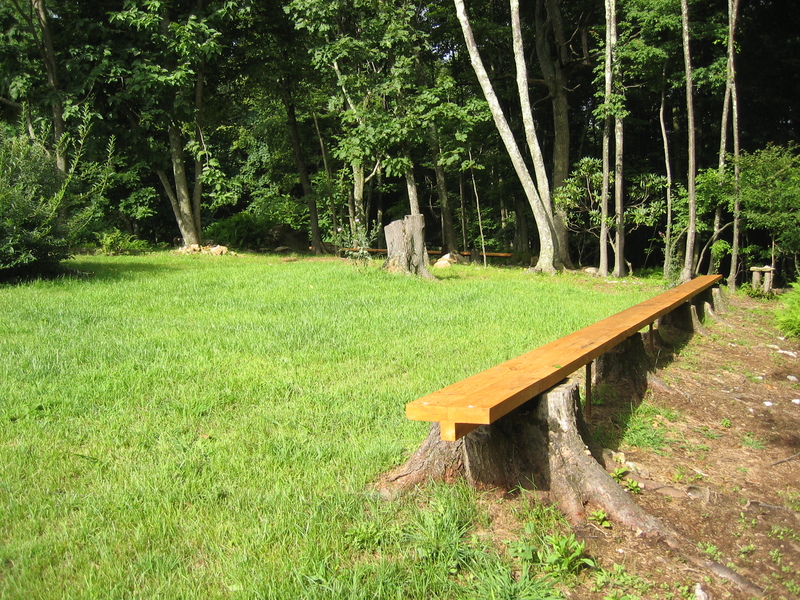 The site was cleared to create sight-lines for viewing the Cedar as a main natural feature.